Rich and smooth with a bouquet to rival a fine Cabernet -- this coffee has spoiled me for inferior brands. And you can drink less of this coffee because it is so satisfying. Perfect for gift-giving (but, beware, your friends too will be spoiled for other coffees and look to you to get them their ”fix”). And it is still only about half the cost of the Kona at Starbucks! Try it, you’ll like it. 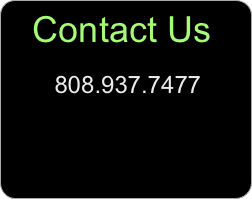 Send this web site address to your friends -- they’ll thank you for it. Halama Farms Kona coffee is by far our favorite coffee. It is smooth and rich -- never bitter or “oily” tasting. Sometimes I like to brew a very strong pot, and even then it is never too heavy “or thick tasting,” as other coffees can be. Similarly, when we make an intentionally weak pot, there is no loss of flavor. I also use it to make iced coffee (not those Frappe things, just coffee, cream, and sugar), and the taste is still perfect, even when diluted by ice. We are real coffee lovers. Over the 10 years we vacationed in Kona prior to moving here, we tried many brands of Kona coffee, and we’ve tried many other exotic types of coffee from all over the world, some ridiculously expensive. The taste of Halama Farms coffee is uniquely good. 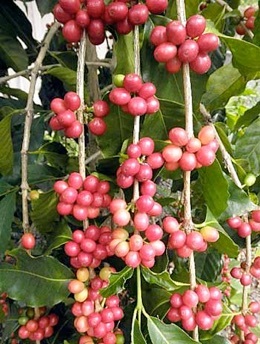 For coffee of this quality, the pricing is very reasonable. We usually purchase 10 pounds at a time! Told you we’re coffee lovers! Halama Farms Kona coffee is very smooth. 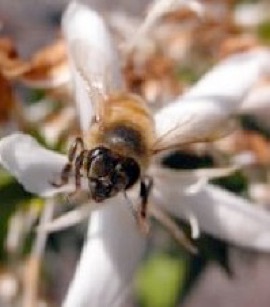 It is rich and full without being bitter, acidic, or sharp. In fact, it’s mellow! Definitely superior to other coffee. I love the reaction when I give it as a gift. Everyone wants more! 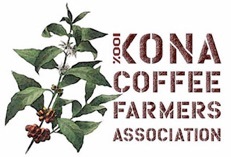 Halama Farms Kona coffee has a wonderfully smooth flavor and a “perk factor” of 300! (woof!) Seriously, it’s like nectar of the gods vs. swill. I drink “regular” Halama Farms coffee and my wife drinks decaf only. We both think Halama Farms produces the best and most consistent roasted beans available, either brewed or espresso/cappicino. Not only is Halama Farms Kona coffee better tasting than other coffees, it’s also actually less expensive than national or “specialty” brands available in the local coffee houses andstores. We’ve been dedicated customers for about 4 years and include 1/2 lb. bags in our holiday gift packages - our friends think we’re the best gift-givers in town. Halama Farms coffee is very special to me. I have seen the Halama Farms coffee trees myself, and I have seen the loving care that goes into the growing and processing. And the flavor comes through. This is an exceptionally rich and flavorful coffee. 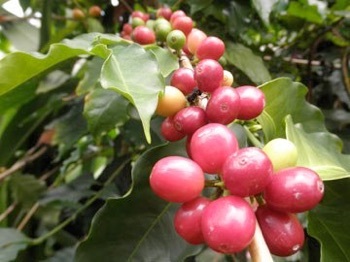 If you would like to comment on Halama Farms coffee, please click here. We would love to hear from you! Mahalo and aloha!